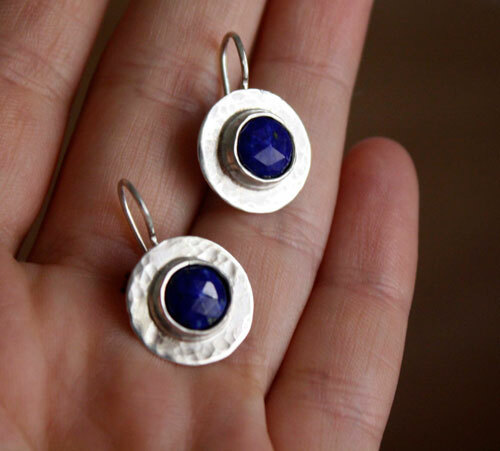 These earrings are a custom order for the same person, in love of ancient Egypt and the blue of lapis lazuli, who had commanded us the Queen of the Nile collar. 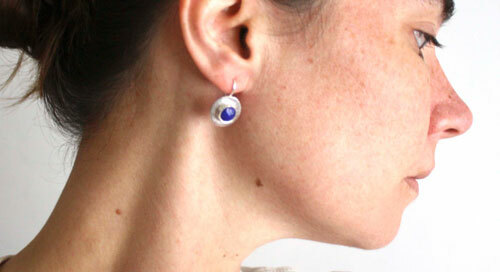 To complete the ornament of our Egyptian queen, she wanted a pair of earrings made on the same model. Therefore, we took the idea of hammered disc referencing to the sun so important in Egyptian mythology (Re or Ra). 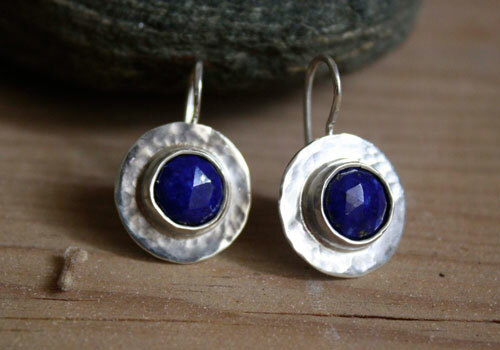 Similarly, we have set cabochons of faceted lapis lazuli deep blue. This semi-precious stone is also an important symbol of ancient Egypt as prized for its color reminiscent of the celestial vault. They measure 2.5 cm long. 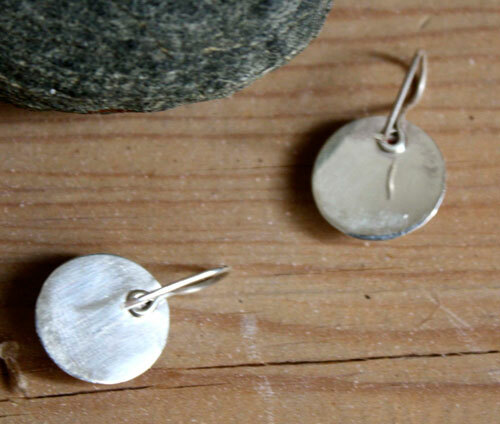 The earwires are also hand forged by myself in sterling silver and are soldered on the back. 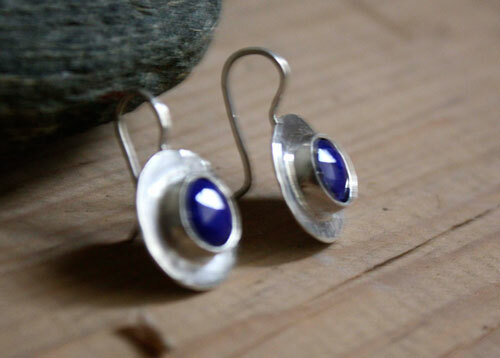 Tag: earrings, sterling silver, round, disc, blue, cabochon, discreet, feminine, hammered, lapis lazuli, semi-precious stone, Egypt, egyptian, mythology, sun, celestial vault, worship, pharaoh, queen, Nile, custom order, antique, jewelry.